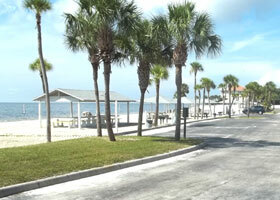 This unique waterfront community contains some of the least expensive waterfront homes in the state of Florida. 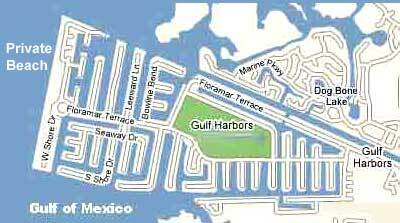 All the canals are deep and lead to the Gulf of Mexico within minutes. Our team are specialists in this area and will email you all properties that meet your criteria. Within a few minute drive from the Gulf Harbors community you'll find shopping malls, theatres, restaurants, parks and recreation facilities. Residents of Gulf Harbors have access to a private beach club which is directly on the Gulf of Mexico with parking, restrooms, grills for cooking and covered picnic tables, Residents can walk, bike or drive to the private gated beach club. Gulf Harbors in New Port Richey contains a huge assortment of waterfront homes that have direct Gulf access for some of the best deep sea fishing and cruising in Florida. Homes in the community come in many sizes and the amenities vary from single level, 2 story and 3 story homes. Some have pools, some have boat lifts, others have floating docks. You will find many waterfront homes in this area for exceptional prices compared to any other waterfront homes in Florida. 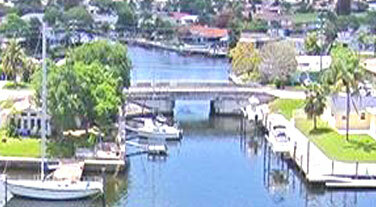 New Port Richey Florida is the largest city in Pasco County. It contains a historic downtown with a variety of restaurants and shops. New Port Richey was Incorporated in 1924 and became a destination for the rich and famous in the Roaring 20s like Charlie Chaplin, Shirley Temple and Greta Garbo to name a few. They came for the weather and upscale parties in places like the Hacienda Hotel in New Port Richey. A number of celebrities built homes in the area, like Babe Ruth, Shirley Temple and Gloria Swanson. A famous landmark built in the 1920s - The Richey Suncoast Theatre was restored to its original splendor and now features stage productions. New Port Richey is approximately a 45 minute drive to Tampa International Airport and downtown Tampa and approximately 10 minutes to north Pinellas County. Our team is experienced with all the homes in the Tampa Bay FL area. Consult with us about the size and draft of the vessel you currently have or are considering to buy. 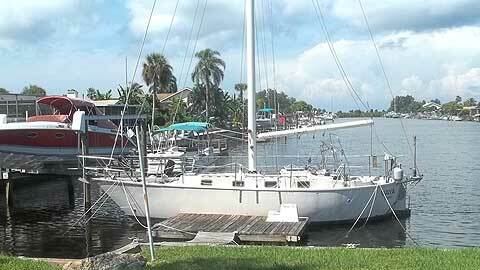 We will do the homework for you to see which properties can accommodate your vessel. 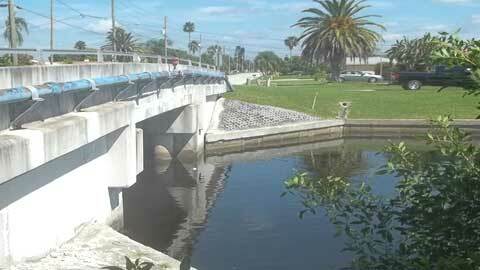 Water depth in some canals may or may not accommodate sailboats. Some canals will only allow a smaller boat up to go under. See below. ©Copyrights WaterfrontFloridaHome.com All Rights Reserved. No duplication permitted!